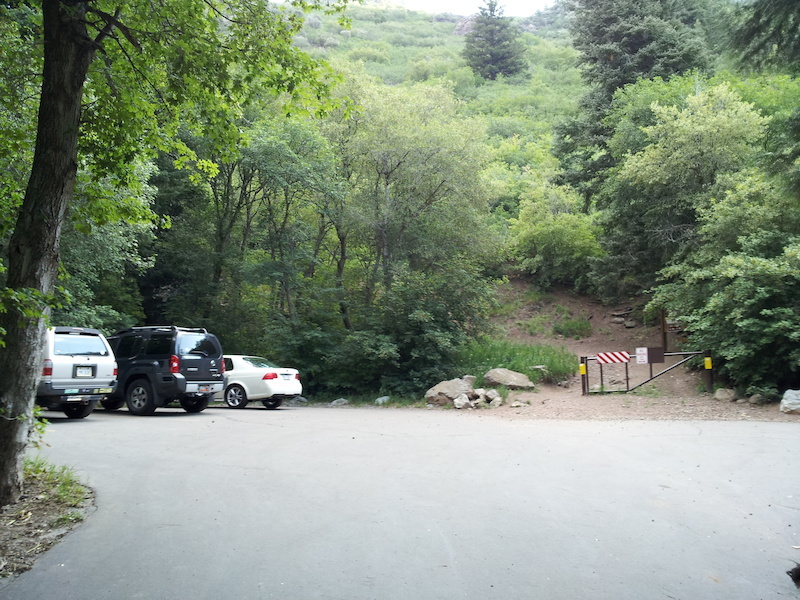 Drive past all the little campsites and picnic areas until you reach the end of the road where there is a parking lot. That is the trailhead. Lot can be full on weekends.